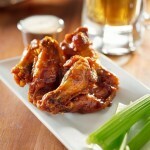 Wings $4.95 per pound all day! Fridays @ 6pm. Saturdays @ 2pm and 6pm. Sundays @ 2pm. Petrizzos Restaurant | ©2017 All Rights Reserved.